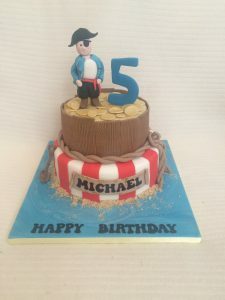 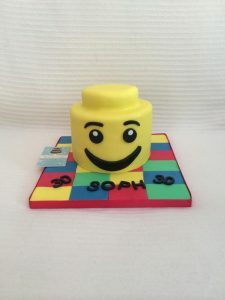 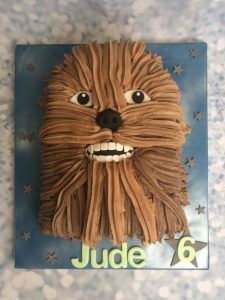 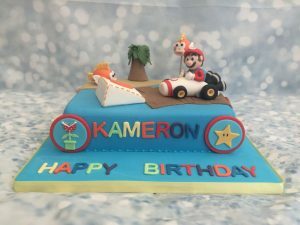 This cake will be gone in a flash! 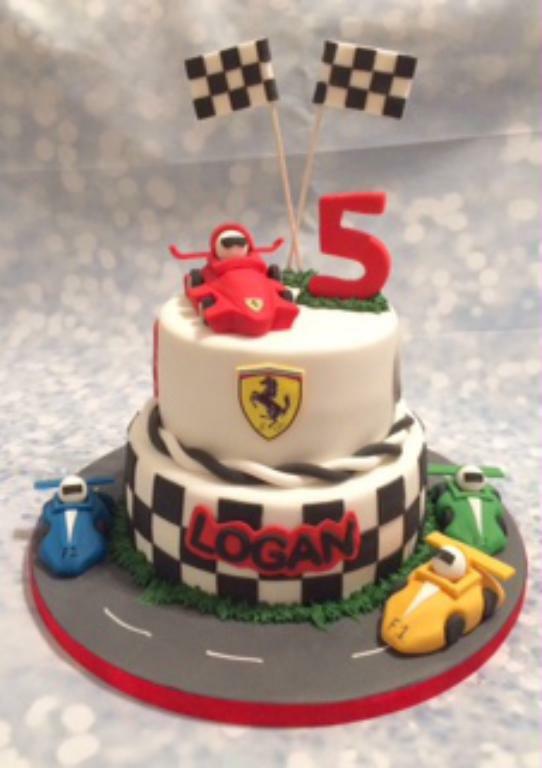 Deliciously crafted with edible prints of all the birthday boys/girls favourite F1 car brands circling the top of the cake. All the cars have been handmade and make this wonderful cake a winner.